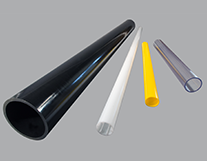 Thermoplastic Polyester Elastomers, or TPE, combine the properties of high performance elastomers and flexible polymers. 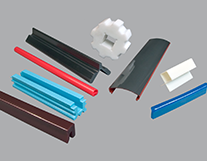 Sometimes referred to as thermoplastic rubbers, these are high strength materials know for their ability to take repeated flex cycles and their resistance to many chemicals and oils. 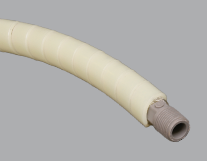 TPE's have high impact strength even at low temperatures and have high heat resistance up to 300°F. 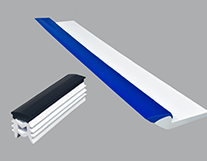 Just like thermoplastic polyurethanes, there is a large range of durometers, or hardness, to choose from. 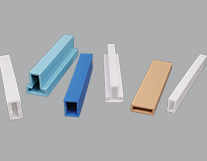 TPE's hardness ranges are typically in the "D" scale unlike TPU's which tend to stay in the "A" scale. 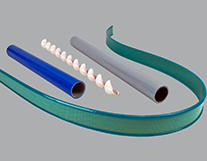 The most common industries are automotive, sporting goods, power tools, conveyor, cable and fluid power. 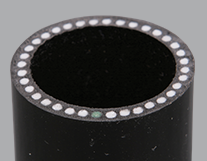 Some common applications include: rubber seals, belting, tubing, bushings and gears.